On Friday, September 21, Morehouse School of Medicine celebrates our 34th Fall Convocation & White Coat and Pinning Ceremony. This event represents a pivotal time in the experience of MSM’s first-year students who represent our Master of Public Health (MPH), Doctor of Medicine (MD), and Graduate Education in Biomedical Sciences (GEBS) programs. This ceremony recognizes and celebrates the incoming class of students. 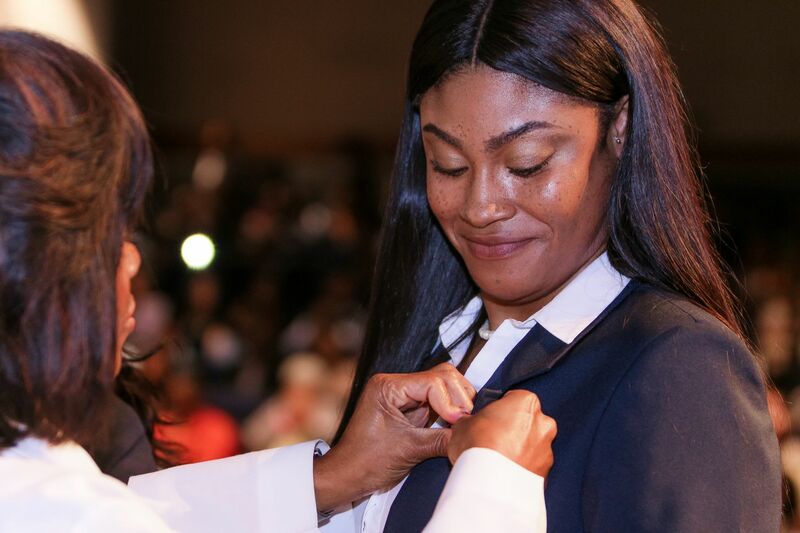 MPH students are presented with their first blue blazers and pins as symbols to mark the beginning of their professional public health educations. 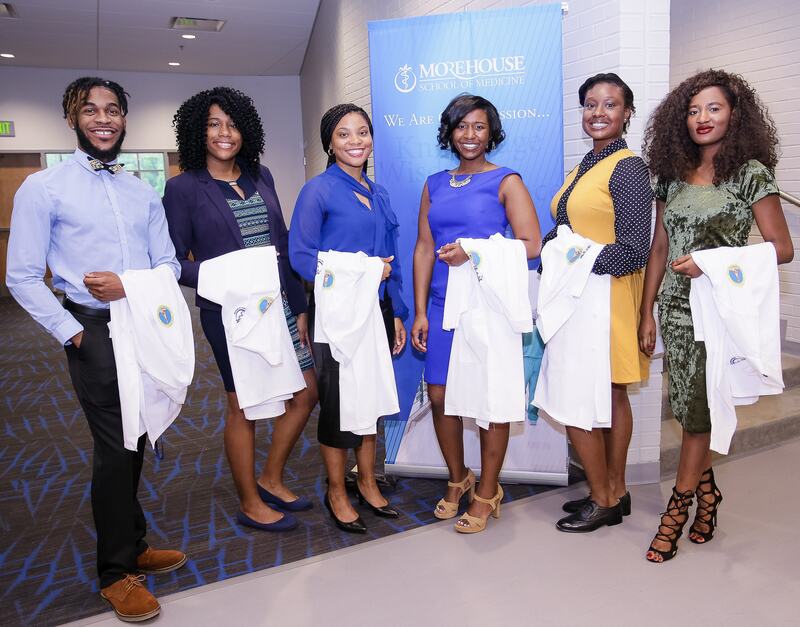 Morehouse School of Medicine MD and GEBS students are presented with white coats as a symbol of the trust bestowed on them as they carry on the noble tradition of medicine and medical research. 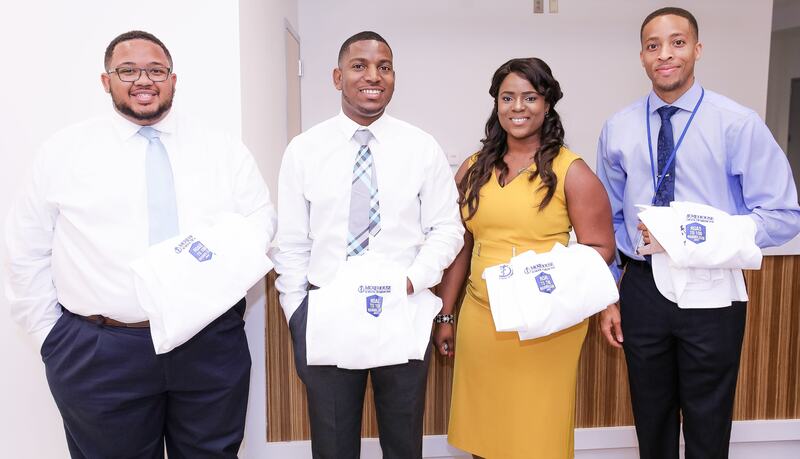 In honor of these students, we are excited to announce the launch of our Blue and White Coat Crowdfunding Campaign. This is a unique opportunity for fellow students, family members, alumni and non-alumni alike to impact the next generation of healthcare professionals. Gifts made to honor our students through the Blue and White Coat Crowdfunding Campaign will be directed to MSM’s Annual Fund. This fund provides students with scholarship support, clinical experiences, and the tools they need to become successful researchers, public health professionals, and physicians. Your generosity allows our students to be more focused on their education, and not the cost. The success of this campaign depends on two key factors. The first is your financial support. Secondly, we need you to share this tremendous opportunity. Please make this campaign a part of your everyday conversation with friends, co-workers and family members. Also, we encourage you to share the link, along with updates, by email and across your social media network. Facebook, Instagram, LinkedIn, and Twitter are great platforms to share our campaign. Morehouse School of Medicine is a 501(c)(3), and all gifts received are tax deductible. We’ve created multiple giving categories to accommodate gifts between $25 and $1,000 and beyond. If you’d like to give at a different level, you can. Just click on any of the giving buttons and type in an amount that is meaningful for you. Consider making a gift in honor of an important year — your graduation, your birth, the birth of a loved one (for example, $20.18, $201.80, or $2,018.00). Every gift will truly make a difference to the MSM family and help us achieve our goal of raising $5,000. So please join us in support of this important initiative and help us make history. Thank you in advance for your gift to Morehouse School of Medicine and for sharing this opportunity.